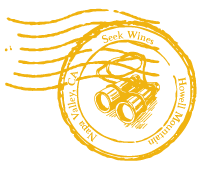 Seek Wines | Tom, haven’t you had enough to drink today? 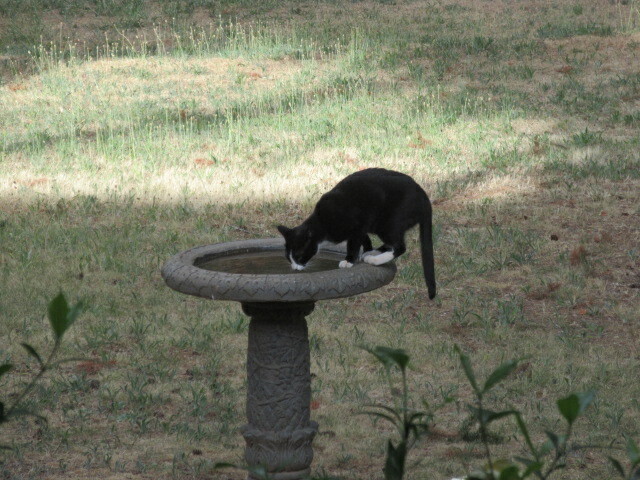 Tom, haven’t you had enough to drink today? We might be a bad influence on Tom. He’s drinking much more since he started hanging around us. Actually Tom is hot and thirsty. We all are. July was extremely hot with more than 14 days in the high 90s/low 100s. That pattern persisted through the first 10 days of August. 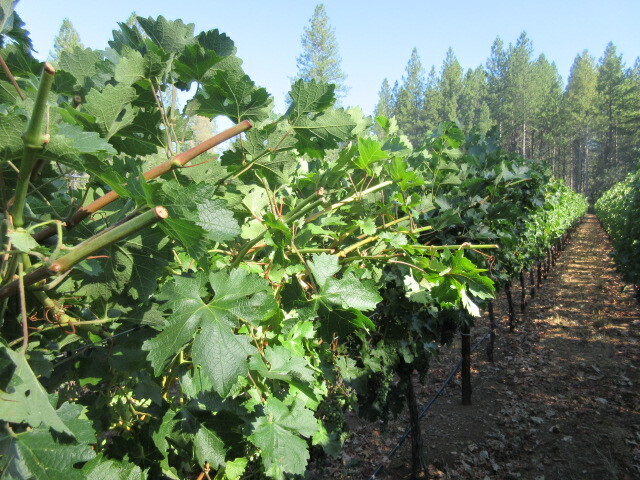 Some of our subscribers ask if the heat is good for the vineyard. 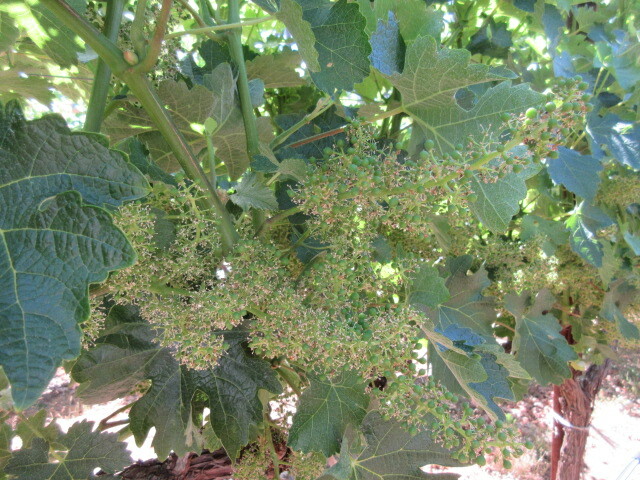 The above photos show the development of a grape cluster between April and August. The vineyard is going through veraison now, when the grapes turn from green to blue. The development was on schedule until mid-July. 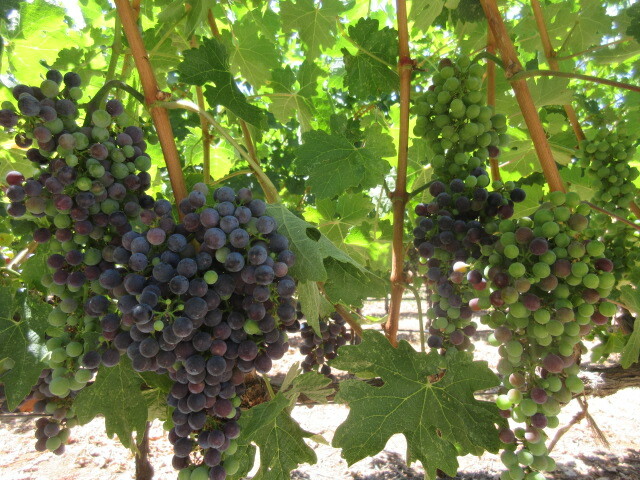 Veraison normally starts in late July and finishes in mid-August. 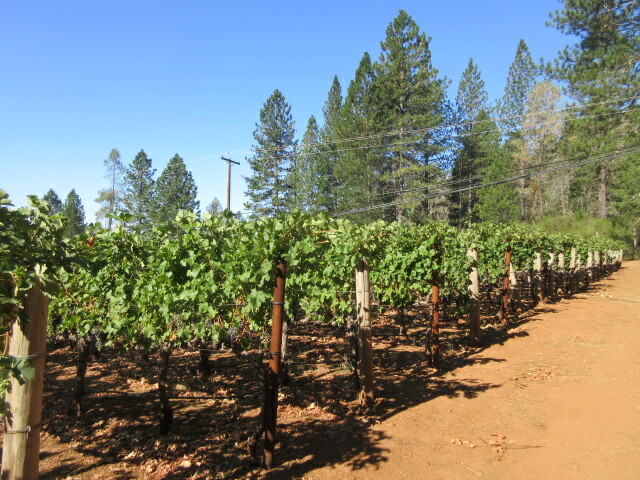 When temperatures rise above the mid-90s, the vineyard shuts down. It’s as if we lost 2-3 weeks of development during the extreme heat. We don’t expect veraison to be complete before September 1. We do several things to enhance ripening. Gerry is raising and connecting to the stakes the high training wire that we dropped to the ground before pruning in March. This makes the growing canes stand straight allowing more heat and sun on the fruit. It takes about an hour to do both sides of each 400’ row. We have 46 rows. Gerry’s dad often told him “You do good work, but you’re really slow.” Now Barb tells him that. We give the vineyard a haircut. Even after the canes are raised by the high training wire, they continue to grow and flop creating shade. When they stop growing, they have to be cut. Even though this is an unskilled task, our specialty, we don’t do it. We have more than 70,000 canes. It would take us about 2 years to cut them. 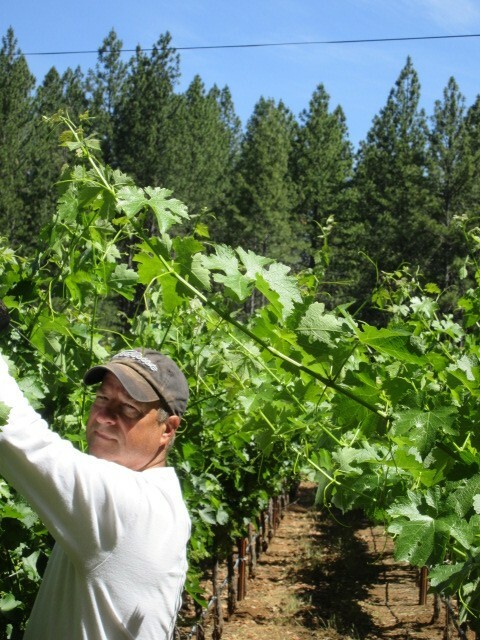 Our vineyard management crew did it in 2 days. 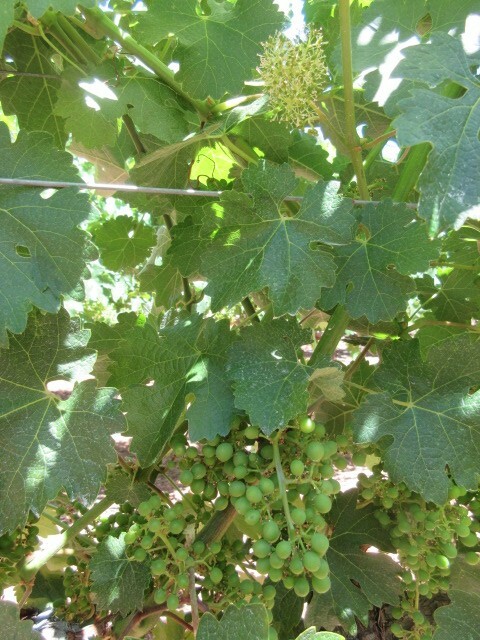 It’s not unusual to see uneven veraison as in the photo above. 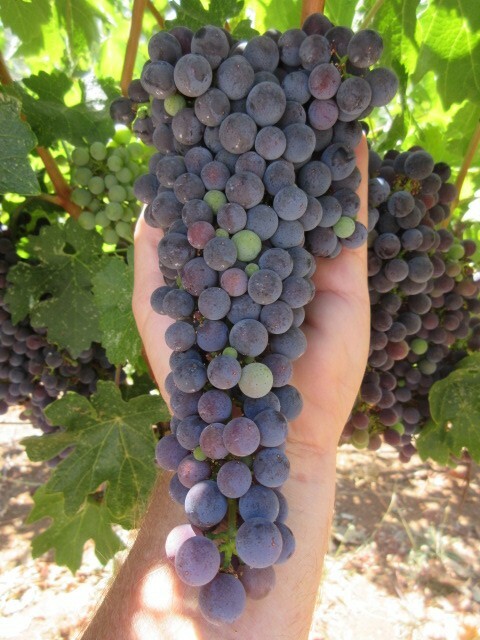 To enhance veraison and ripening, we remove the leaves covering the clusters to expose them to more heat and sun. When veraison is about 80% complete, we cut off and discard the clusters that are not fully blue. Those clusters would be fully blue on harvest day, but they wouldn’t be as ripe as those that completed veraison sooner. 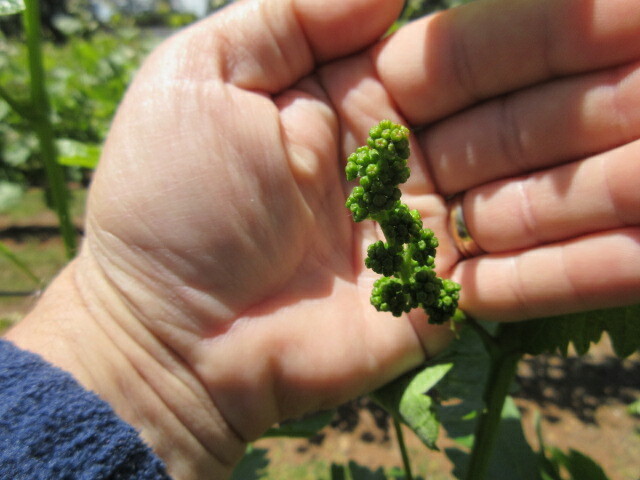 The rule of thumb is the vineyard needs about 60 days to ripen the fruit after veraison is complete. We’re now anticipating a late October harvest. The 2-3 weeks we lost in July-August to the heat spikes we hope to make up in late October with warm and sunny days. 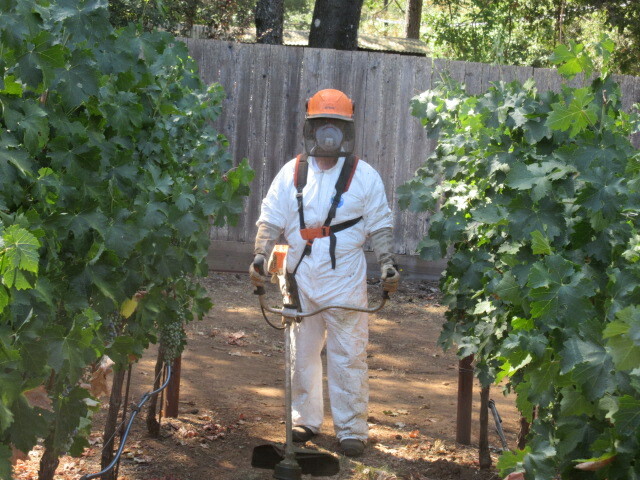 Gerry is cutting the tall grass and weeds in the vineyard and around our property with his weed whacker. This reduces fire risk from flying embers. Years ago, this man wore a 3-piece suit to work. Now he wears a disposable plastic onesie. No wonder Barb starts drinking at 3 pm. Some days are harder to experience than others. He wishes he could use his tractor but tractor mowing isn’t allowed during fire season. The mower blades can strike rocks and spark grass fires. Sadly it happens around here at least once a year. The wildfires in Northern California are far from our property, but we have experienced about 10 days of smoke in the air that makes it difficult to be outside. We continue to pray for all those affected. Our fire season lasts until November when the winter rains usually begin. 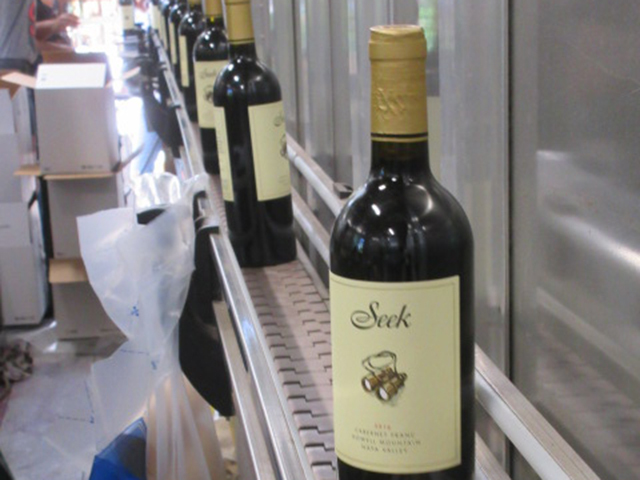 Our 2013 Cabernet Sauvignon and 2015 Cabernet Franc are sold out. 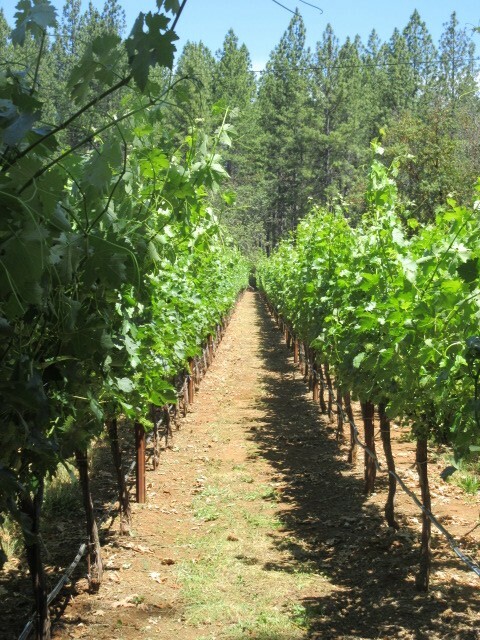 We have some 2015 Zinfandel remaining. 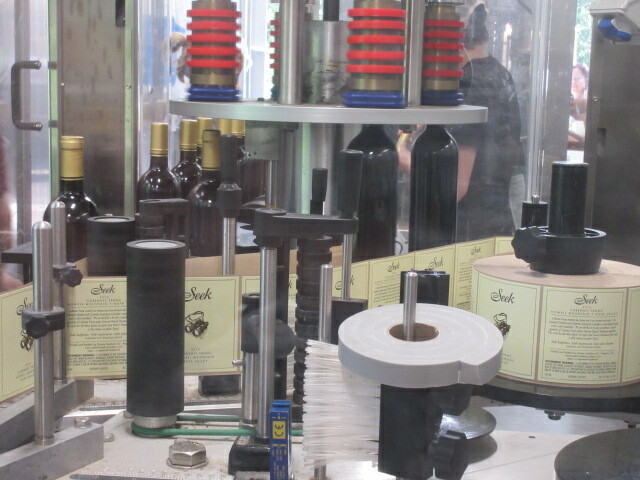 But don’t worry, we bottled more since the last newsletter. 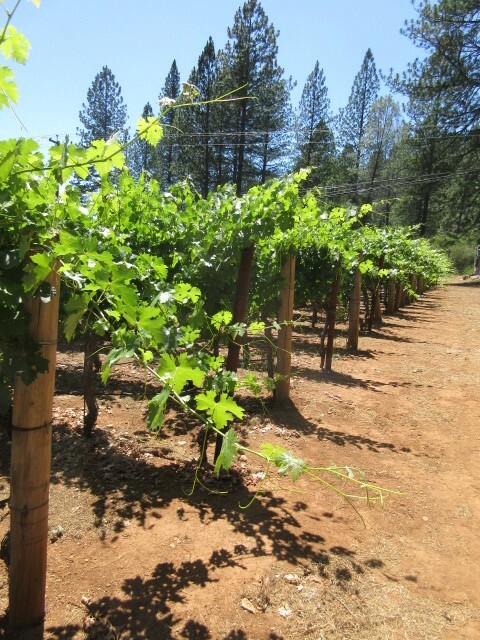 Our new wines will be released in the fall. We’ll email a newsletter to all of our subscribers when the wines are available. Cheers!